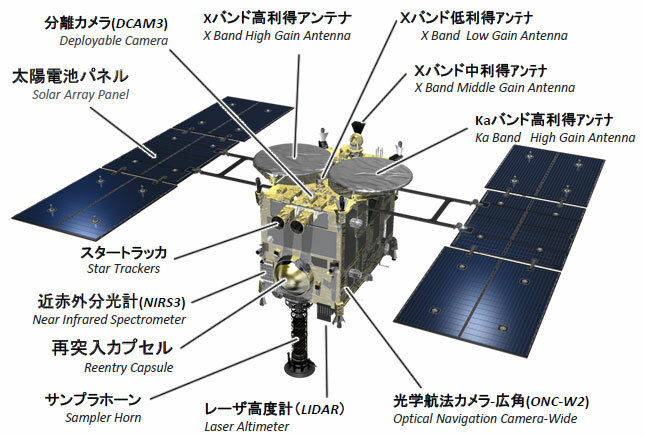 Research on Space Science Asteroid Explorer "Hayabusa2"
Asteroid Explorer “Hayabusa2” is a successor of “Hayabusa” (MUSES-C), which revealed several new technologies and returned to Earth in June 2010. While establishing a new navigation method using ion engines, Hayabusa brought back samples from the asteroid “Itokawa” to help elucidate the origin of the solar system. Hayabusa2 will target a C-type asteroid “Ryugu” to study the origin and evolution of the solar system as well as materials for life by leveraging the experience acquired from the Hayabusa mission. To learn more about the origin and evolution of the solar system, it is important to investigate typical types of asteroids, namely S-, C-, and D-type asteroids. A C-type asteroid, which is a target of Hayabusa2, is a more primordial body than Itokawa, which is an S-type asteroid, and is considered to contain more organic or hydrated minerals -- although both S- and C- types have lithologic characteristics. Minerals and seawater which form the Earth as well as materials for life are believed to be strongly connected in the primitive solar nebula in the early solar system, thus we expect to clarify the origin of life by analyzing samples acquired from a primordial celestial body such as a C-type asteroid to study organic matter and water in the solar system and how they coexist while affecting each other. 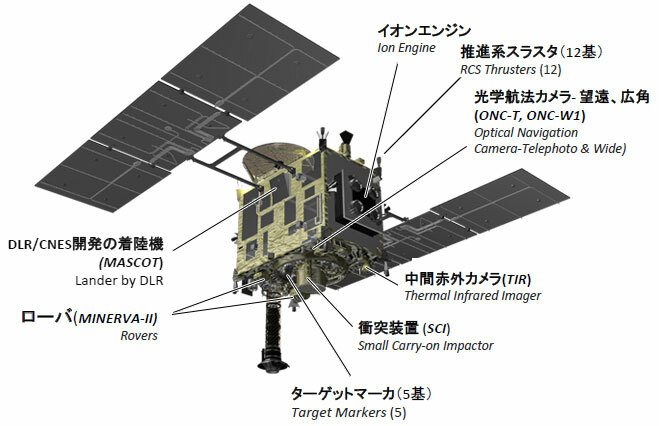 Characteristics of Asteroid Explorer "Hayabusa2"
Hayabusa2 will utilize new technology while further confirming the deep space round-trip exploration technology by inheriting and improving the already verified knowhow established by Hayabusa to construct the basis for future deep-space exploration. 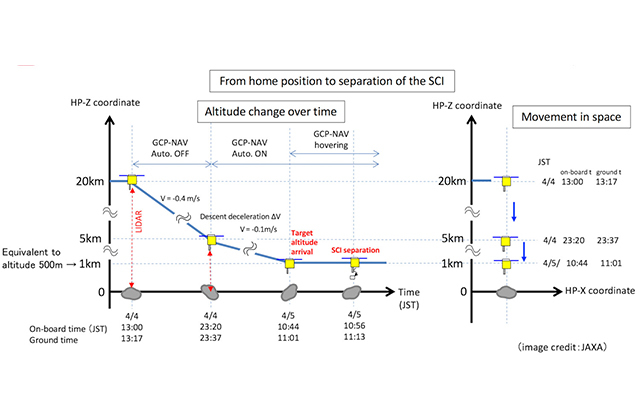 The configuration of Hayabusa2 is basically the same as that of Hayabusa, but we will modify some parts by introducing novel technologies that evolved after the Hayabusa era. For example, the antenna for Hayabusa was in a parabolic shape, but the one for Hayabusa2 will be flattened. Also, a new function, “collision device”, is considered to be onboard to create a crater artificially. An artificial crater that can be created by the device is expected to be a small one with a few meters in diameter, but still, by acquiring samples from the surface that is exposed by a collision, we can get fresh samples that are less weathered by the space environment or heat. Hayabusa2 was launched on December 3, 2014. It should arrive at the C-type asteroid in mid 2018, staying around there for one and half years before leaving the asteroid at the end of 2019 and returning to Earth around the end of 2020. * Click to see larger image. Interview: Hitoshi Kuninaka, Project Manager, Asteroid Explorer Hayabusa2 "A Path Toward Space Exploration"